In the early days of OMAX things were pretty simple. We offered one model of cutting table, one model of pump and no accessories. 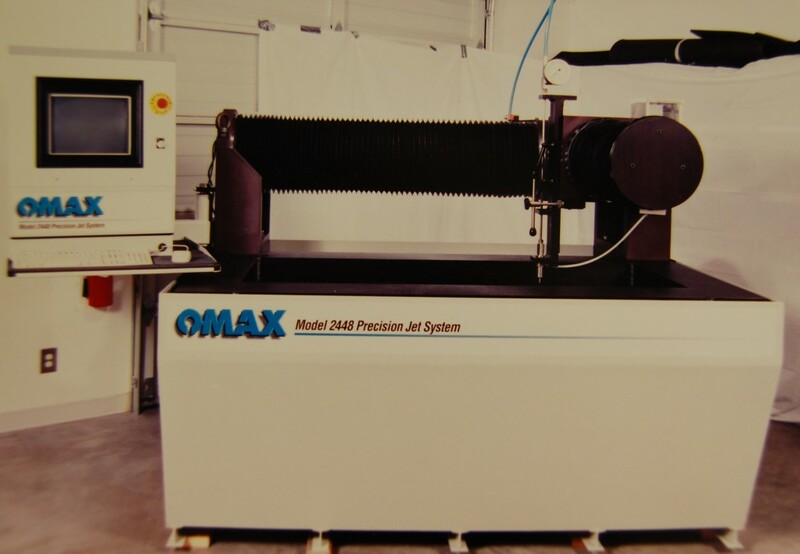 Placing an order was simply a matter of saying “I’ll take it!” However, even back then we offered our customers a capability that no other abrasive waterjet supplier offered—the ability to quickly make a one-off part. Our patented DOS-based control software could automatically compensate for the flexible nature of the abrasive waterjet and so it allowed an inexperienced user to take a simple 2-D CAD drawing and turn it into an actual flat part in virtually any material in a matter of minutes. No time-consuming G-code programming and no trial and error control program development. An accurate part the first time. This opened an entirely new range of applications for abrasive waterjets. For the first time abrasivejets could be used for short-run part production, for prototyping and for development work. It was a technology that even the smallest machine shop could use profitably because it was suited to their applications. Machine shops began to buy our product and we quickly learned that the key to being the successful company that we have become is to meet your customers’ needs by addressing their applications. It turns out that our customers have a tremendous range of applications. As a result ordering a machine is quite a bit more complicated. We have two complete product lines with twenty different cutting tables, 6 different pumps and an array of accessories—all designed to meet and expand our customers’ applications by providing them with a greater range of capabilities. My intent over the next several entries of this blog is to give you an idea of these expanded capabilities and the applications they are intended to cover. I hope that you will respond with additional applications you would like to see us address so that we can continue to expand the capabilities of our systems. We have a lot of experienced and enthusiastic engineers here and they want to develop new products to meet your needs.